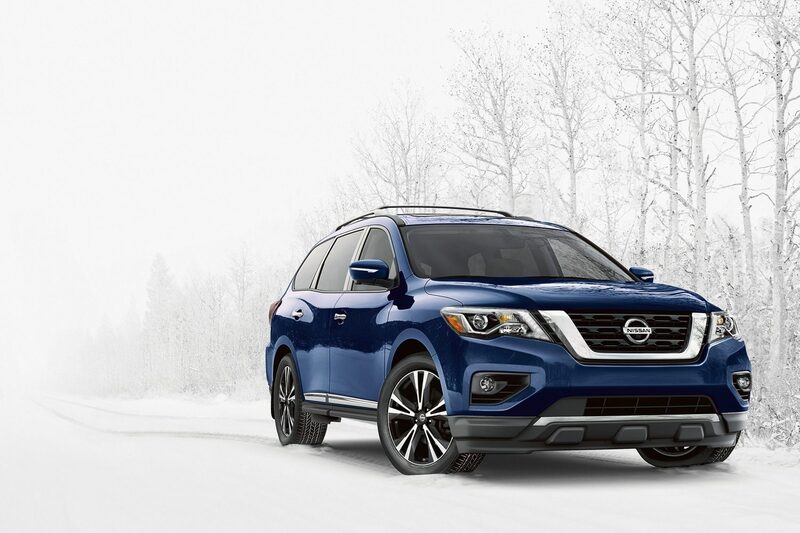 With Nissan Pathfinder’s All-Mode 4x4-i, you’ve got a system that’s incredibly capable in any season, on-road or off-road. Even where there are no roads, you can pave your own with Nissan Pathfinder. And with a more powerful 3.5-L V6 engine producing 259 lb-ft of torque, you can tow up to 6,000 lbs with ease. Add in an Xtronic CVT transmission that knows the engine’s sweet spot for power, and nearly any destination is within reach. 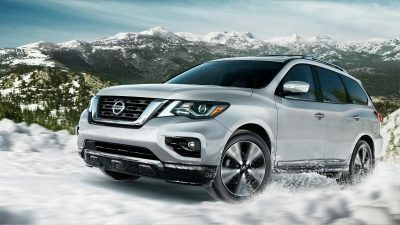 Using Nissan Pathfinder’s selectable driving modes, you can choose full-time 2WD for maximum efficiency, Auto Mode to constantly monitor conditions and adjust the balance of power between front and rear wheels, or 4WD Lock Mode for more challenging conditions. 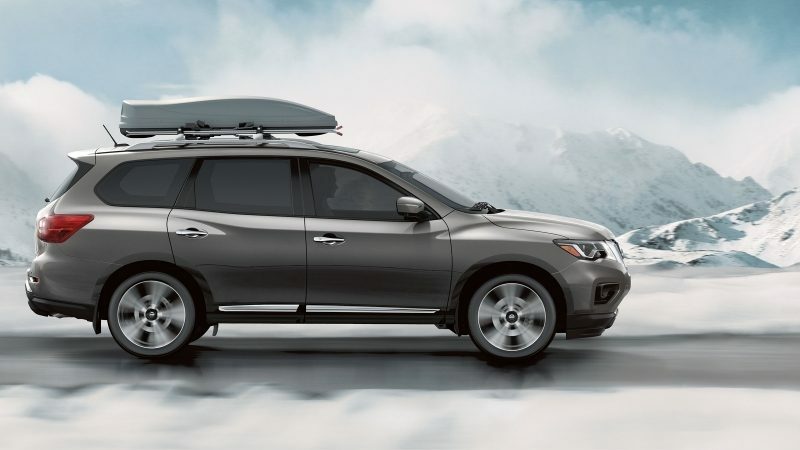 Flexibility is second nature to Nissan Pathfinder, whether it's to make more room for people or cargo. Drop the 3rd row and you’ve got up to 1354 litres, or drop both the 2nd- and 3rd-rows for a virtually flat space with 2260 litres of cargo for your seriously big loads. Add in the available Motion-Activated Liftgate, and it's never been easier to load up for the next big adventure. Hands full? We’ve got you covered. 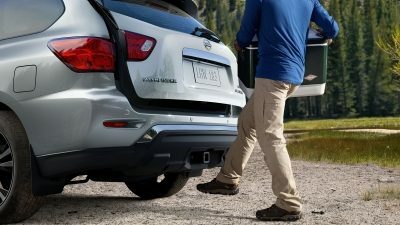 With the Nissan Intelligent Key in your pocket, just kick your foot under the rear bumper, and the Motion-Activated Liftgate will automatically open to give you easy access to Pathfinder’s versatile interior. Find a new restaurant, unlock your vehicle using your smartphone, or enjoy an immersive musical experience. 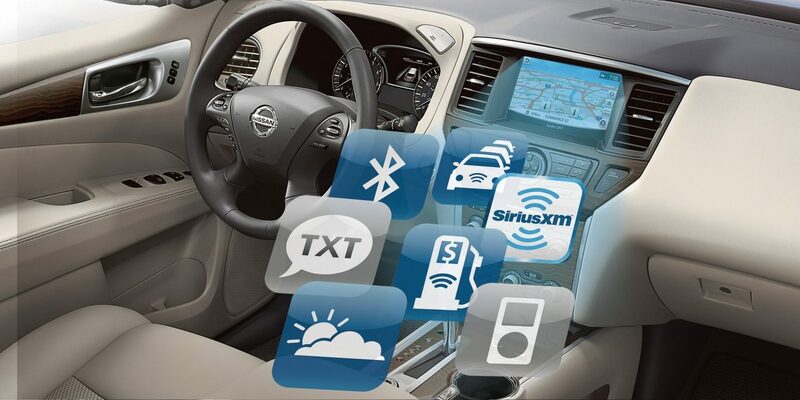 You can do all of this, and more, with available technology that is right at your fingertips. 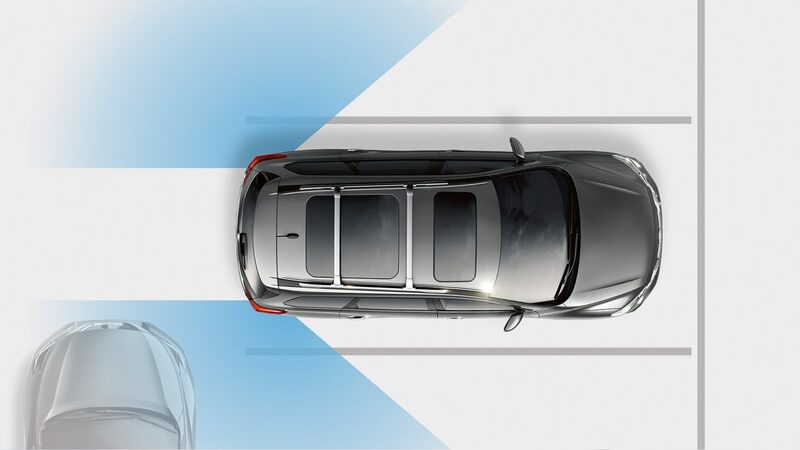 A RearView Monitor is great when backing up, but when it comes to parking or tight situations, it’s nice to see more than what’s just directly behind you. 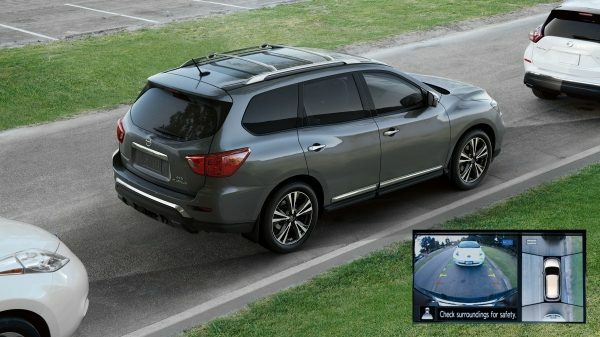 That's why Pathfinder's available Around View Monitor uses four cameras to give you a virtual 360º bird’s-eye view of your vehicle with selectable split-screen close-ups of the front, rear, and curbside views, so you can get a better look. Confidence is along for the ride on all of your adventures. That’s because the Nissan Safety Shield is a comprehensive approach to safety that guides the engineering and development of every car we make. It helps keep an eye on your vehicle’s systems and surroundings, assists you in handling unexpected situations, and helps protect you in the unfortunate event of an accident. 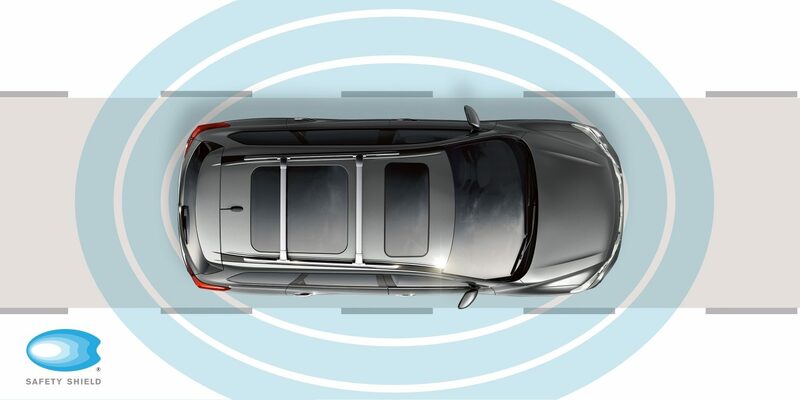 Available Safety Shield Technologies offer you a suite of advanced systems — from Blind Spot Warning (BSW) to Rear Cross Traffic Alert (RCTA) to Forward Emergency Braking (FEB) — making clear, we take your safety seriously.